Alzheimer’s disease (AD) is a common neurodegenerative condition that affects the elderly population. Its primary symptom is memory loss. 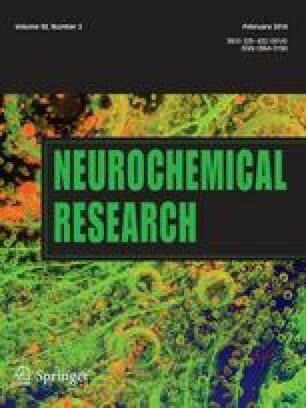 The memory dysfunction in AD has been associated with cortical cholinergic deficiency and loss of cholinergic neurons of the nucleus basalis of Meynert (NBM). Zizyphus jujube (ZJ) activates choline acetyltransferase and may have beneficial effects in AD patients. This study investigates the effect of ZJ extract in intact rats and in rat model of AD. 49 male Wistar rats were divided into seven equal groups (1—control, without surgery, received water), 2—AD (bilateral NBM lesion, received water), 3 and 4—AD + ZJ (NBM bilateral lesion, received ZJ extract 500 and 1,000 mg/kg b.w. per day for 15 days), 5—sham (surgery: electrode introduced into NBM without lesion, received water), 6 and 7—without surgery and lesion, received ZJ extract—the same as groups 3 and 4). The learning and memory performance were assessed using passive avoidance paradigm, and the memory cognition for spatial learning and memory was evaluated by Morris water maze. In shuttle box test ZJ extract (500 and 1,000 mg) significantly increased step-through latency in AD + ZJ groups compared with AD group. In Morris water maze test (in probe day), both AD + ZJ groups receiving extract (500 and 1,000 mg) demonstrated significant preference for the quadrant in which the platform was located on the preceding day as compared with AD group. Our results suggested that ZJ has repairing effects on memory and behavioral disorders produced by NBM lesion in rats and may have beneficial effects in treatment of AD patients.